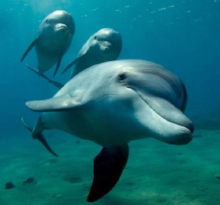 Much like us, dolphins live in complex social systems and exhibit remarkable intelligence that allows them to collaborate in groups for work and play and nurture their young in connected and caring social groups. Dolphins have an extraordinary and powerful ability – sonar – that allows them to know precisely where they are in space and communicate complex information with one another that is key to their success. Foundry SONAR is the backbone of the Foundry’s solution. SONAR data is communicated in Foundry Performance and Portfolio Pages and is designed to give educators and students one-click access to data – with easy drill-down capability. “Foundry SONAR is based upon educator-centered design that is focused on ‘just-in-time’ need to know,” said Bill Mortimore, Foundry CEO. “What do educators need to know about the student? Sometimes a 10,000-foot view, and other times a deep dive. We created our platform to deliver these capabilities, showcased in a way that makes sense to both educators and learners. One-click access was very important, and so we designed our educator-centered data calls to do exactly that,” noted Mortimore. Foundry SONAR provides information to users at the moment it is needed. As teachers assess student proficiency in Foundry, the resulting data is immediately available, demonstrating the student’s progress on their personal learning plan. When teachers are mentoring students toward completing requirements, they can quickly dive into what work is in progress, what work was attempted but not yet proficient, and what remains to be done. Students can know where they are in their learning and can make choices in their learning plan, building agency over their own learning. Educators can look at all of their students, see where each student is in their learning, and have real-time data for planning where to focus next. Administrators can look at all learning groups, all the teachers/advisors, as well as each student to see the progress that is being made and any emerging concerns. “Being able to measure learning proficiency against a graduation plan determined by the school is the end game, but there is an immense amount of data involved in that. Understanding the workflow and responsibilities of learning management allowed us to design our SONAR technology to gather and present meaningful and useful data and deliver it quickly,” says Mortimore. Foundry users now have an extraordinary and powerful ability – SONAR – to know precisely where learners are and communicate complex information with one another. Thanks for the inspiration, Dolphins! And welcome to Foundry’s latest key to success!